Can you give me a brief overview of the challenges and problems from volatile exhaust streams in the pharmaceutical industry? Capturing and destroying harmful emissions from pharmaceutical processes can be challenging. It’s not because the pollutants, referred to as volatile organic compounds (VOCs) or hazardous air pollutants (HAPs) are difficult to destroy using catalytic or thermal technologies. It’s because the process stream concentrations can be so high, which raises safety concerns, both when they’re collected in vents and when they reach the final combustion equipment. What solutions are the current gold standard to clean these danger emissions? Catalytic and thermal oxidation are often the best technologies for destroying emissions from pharmaceutical and other manufacturing operations. Both use high-temperature combustion to break down pollutants, leaving only carbon dioxide (CO2), heat, and water vapor. Pharmaceutical operations, typically require customized emission control systems to handle the high concentrations that emanate from tablet coating, fluid-bed processing, and tray drying. Often these concentrations reach the explosive range, which means the emissions must be diluted before they’re introduced to an oxidizer to ensure a safe operation that protects employees and property. Please describe the process that’s used to manufacture pharmaceuticals that causes these dangerous emissions of VOCs. What levels of danger are there in terms of explosion limits? Today, most tablet coatings are aqueous, but many pharmaceutical manufacturing operations still use VOCs and HAPs such as ethanol and isopropyl alcohol (IPA). This includes the manufacturing of active pharmaceutical ingredients (APIs) that are dissolved in VOCs and then spray-dried to create an amorphous solid or granules. Most of these processes are batch operations, and that leads to significant and nonlinear concentrations in their exhaust. In fact, the emission concentration often exceeds the lower explosive limit (LEL) by more than 100 percent. In the presence of an ignition source and sufficient oxygen, these process exhausts—if not mitigated—will lead to an explosion. We’ve tracked the emissions and LEL concentration of the exhaust from a fully loaded tray dryer that were measured after heat was applied to drive off the VOCs. 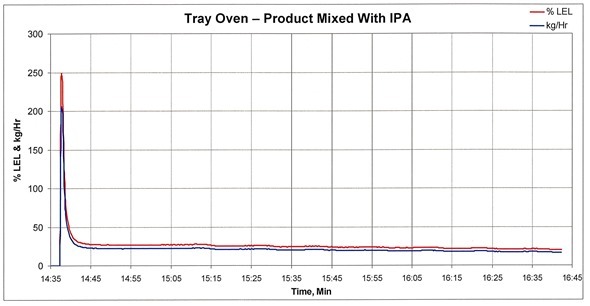 Approximately 30 seconds after heat was applied, the IPA concentration peaked at approximately 250 percent of LEL. If this stream was delivered straight to an oxidizer operating at high temperature, there would be an explosion. About 8 minutes after spiking, the VOC concentration decreased to approximately 25 percent of LEL, which is the acceptable limit of most standard catalytic or thermal oxidizers. Fluid-bed processors can generate the same peaks. We tracked the emissions of a fluid-bed processor where the inlet air temperature is 40°C for 20 minutes and then remains at 45°C until the end of the production run. 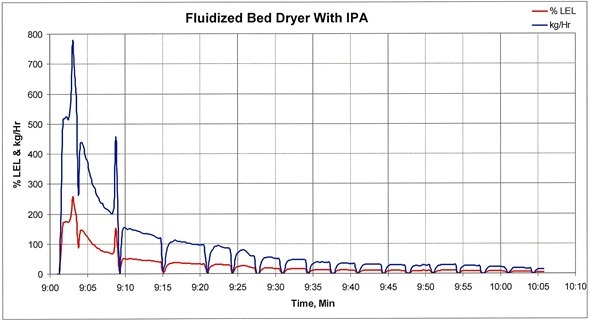 Following the initial product transfer into the fluid-bed dryer, the exhaust concentration reached an initial peak concentration of approximately 370 percent of LEL. Approximately 6 minutes later, a second VOC spike occurred after the process bowl was scraped which resulted in a peak concentration of about 200 percent of LEL. These exhaust concentrations, with an ignition source and sufficient oxygen, would most likely result in an explosion. In short, the data tells us that you should expect high concentrations in emissions from coating, fluid-bed, and tray drying operations. There are two common ways to manage the peaks, mitigate the risks, and operate safely. How can these emissions be mitigated in a customized system? The first is vent control software that recognizes when processes or batches are ready to start. It then “reserves space” for them in the vent collection system. The software puts you in communication with operators or links to automatic controls at each stage of production, signalling when it’s safe to come online and when to wait. If multiple demands to vent arrive at the same time, the software delays new batches and processing until it learns that exhausts from earlier batches are well beyond peak VOC concentration. This control method uses the dilution capacity of existing process exhaust points—beyond their peak concentrations—to verify safe status and allow a new batch. If no processes are online to the oxidizer and a batch start is requested, then the software must verify that enough fresh dilution air is available. This software can also verify that sufficient fresh air is available to process several batches in quick succession, maximizing production. The second method uses software in the oxidizer’s control system to identify how many processes are running. It then allows only one new process to come online to the oxidizer and only during a specific period. This software works in the oxidizer’s PLC-based controls to communicate with operators or equipment and signal when more processes can come online. It could require, for example, a minimum number of processes to be online to the oxidizer for a certain period. That would indicate that the VOC concentrations are beyond the peak and a new source can come online. The software can also verify that a minimum amount of fresh air is sent to a new production source to dilute the exhaust before it reaches the oxidizer. Even with this software installed, additional safety provisions for emission control would likely be incorporated following a plant-wide process hazard analysis (PHA). They would likely include LEL high-limit switches to prevent a dangerous concentration from entering the oxidizer or abatement device. Ideally, these LEL devices would be self-calibrating to minimize expenses, ensure accuracy and respond very quickly. A PHA would also show where to install LEL controls in relation to the process-exhaust and oxidizer-isolation dampers. Often, flame or detonation arrestors are placed in each process-exhaust line to mitigate damage to the processes if all other safety measures fail. One the system is sure that the VOCs are at a safe level to be processed, how are they converted into carbon dioxide, water vapor and heat? Please can you give a brief overview of the catalytic oxidation process? VOC emissions from many pharmaceutical coating and drying processes have historically been controlled with catalytic oxidation. The process is similar to how automotive catalytic converters treat exhaust. Process emissions pass through a catalyst that allows lower oxidation temperature to destroy the VOCs. Because the process emissions—often alcohols and/or acetone—are very catalyst-friendly, catalytic oxidation can remove VOCs at high rates. However, in contrast to automobile exhaust, these industrial emissions are at a low temperature and must be heated to activate the catalyst so it can oxidize the VOCs. Typically, this is done using the oxidizers gas-fired burner, often in conjunction with integral heat recovery to reduce fuel consumption. Recovering this thermal energy—typically at rates of 65 to 70 percent—also reduces the amount of CO2 emitted into the atmosphere because the system is more energy efficient and depends less on auxiliary fuel-fired burners. This catalytic oxidation system that incorporates the catalyst, integral heat exchanger, gas-fired auxiliary heat system, system fan, and a PLC-based control panel and controls emissions from 12 pharmaceutical coating pans and tray dryers, as well as VOCs from an air stripper’s exhaust. 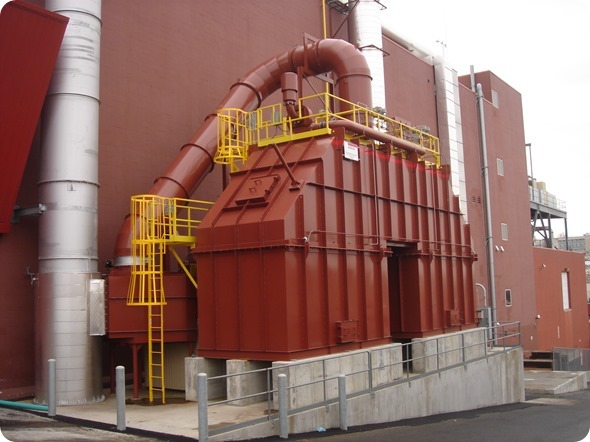 Although catalytic oxidizers have been used successfully in the pharmaceutical industry for many years, other control technologies have gained appeal because they can treat larger exhaust volumes more efficiently. Abatement equipment today is also being used to control VOCs from more sources, which increases emission volume and the need to dilute emissions to safe LEL levels. The oxidizer thus grows in size. In order to reduce costs, companies are opting for fewer but larger abatement devices. Regenerative thermal oxidation is an alternative to catalytic oxidation, please describe this process and how it compares to catalytic oxidation. The pharmaceutical industry is witnessing a shift from catalytic oxidation to regenerative thermal oxidizers (RTOs), like other industries where abatement equipment volumes have increased over time. RTOs use high-temperature combustion (with little supplemental fuel) to break down pollutants, converting them into small amounts of CO2, heat, and water vapor. Specifically, the process gas and contaminants are progressively heated as they move through insulated chambers filled with ceramic media. Once oxidized in the combustion chamber, the hot, purified air releases thermal energy as it passes through a second media bed in the outlet flow direction. Valves alternate the airflow direction into the media beds to maximize energy recovery within the oxidizer. The outlet bed is heated and the gas is cooled so that temperatures at the outlet are only slightly higher than at the process inlet. This greatly reduces the need for auxiliary fuel, which lowers operating costs. RTOs provide very high VOC destruction efficiency but do so at higher combustion chamber temperatures than catalytic systems without the need for catalyst. Even at higher operating temperatures, auxiliary fuel usage is lower because the energy recovery and thermal efficiency of RTOs is generally 95 percent and can reach values as high as 97 percent. Thus, auxiliary fuel consumption and the resulting CO2 emissions to atmosphere are lower with an RTO than they are with a catalytic oxidizer. Larger air volumes also favor the RTO technology because they are generally built of carbon steel. That reduces their cost compared to catalytic oxidizers, which not only incorporate precious metal catalysts, but are also primarily built of stainless steel. This RTO system, rated to handle 40,000 SCFM, is installed at a pharmaceutical plant, where it controls emissions from four tray dryers, 13 fluid-bed processors, and three coaters. The system incorporates LEL controls to verify a safe operating system. Because it’s located in a cold-weather area, any dilution air that’s added is heated to minimize the chance that water or VOCs will condense within the abatement system. 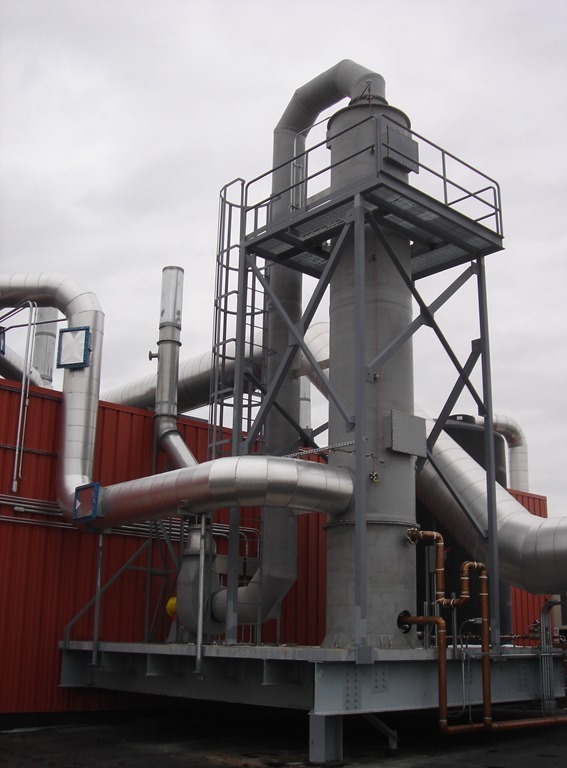 The other major class of system to convert and process VOCs are wet scrubbers, can you provide an overview and comparison with catalytic oxidizers and regenerative thermal oxidizers? When processes emit extremely high VOC concentrations and exhaust flows are very large, dilution becomes more difficult, and the abatement system can grow quite large and expensive. In those cases, emissions that are soluble in water, such as alcohols, can be treated using a wet scrubber. The VOCs, however, will likely to be transferred to a water stream for disposal, which may be an additional burden on the facility. In addition, the vapor pressure of the alcohols can be relatively high, which means that the wet scrubbers often use “once-through” water. That raises concerns about the volume of water used and how to dispose of it. Even so, this method has been used on occasion to control high concentrations of VOC (alcohol) emissions. In some instances, wet scrubbers are used in conjunction with oxidation equipment such as RTOs. This packed-bed wet scrubber controls the emission of alcohol using water, which then flows to the company’s wastewater treatment system. 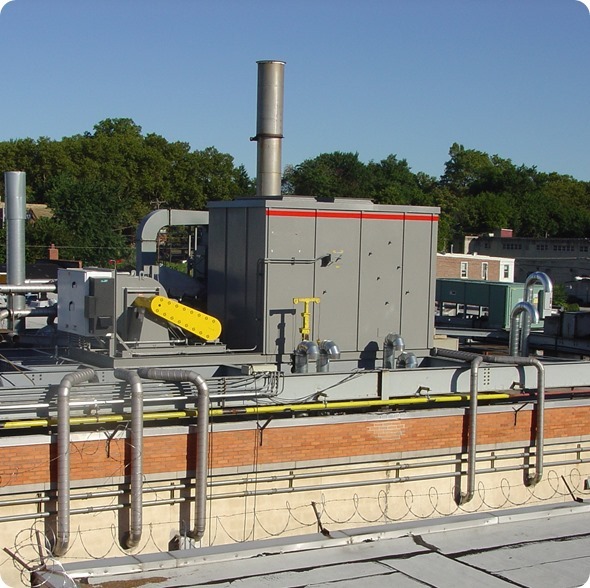 What needs to be considered before choosing and designing an emissions control system? When designing abatement systems for pharmaceutical processes that involve coaters or dryers, understand the emission types, what the VOC concentrations are, and how they fluctuate during processing. Next, conduct a PHA to identify the design requirements for the abatement system to operate safely and effectively. Once you have determined the flow and total emission rate from the facility, consider all the technology options for removing the pollutants. Catalytic oxidation remains a viable technology for relatively small exhaust flow rates. In general, RTOs offer lower capital and operating costs at process exhaust flows of 5,000 SCFM or larger. Wet scrubbers also warrant consideration even though water consumption and subsequent wastewater treatment may make it unattractive in many applications. Jeff Kudronowicz is applications engineering manager at Anguil Environmental Systems, 8855 North 55th Street, Milwaukee, WI 53223. Tel. +1 414-365-6400 Website: www.anguil.com. 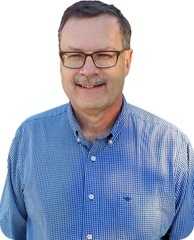 A chemical engineer with more than 30 years’ experience in the air pollution control industry, Kudronowicz is responsible for equipment selection, pricing, and technical sales support for applications that include oxidizers, emission concentrators, dust collectors, and acid-gas scrubbers.